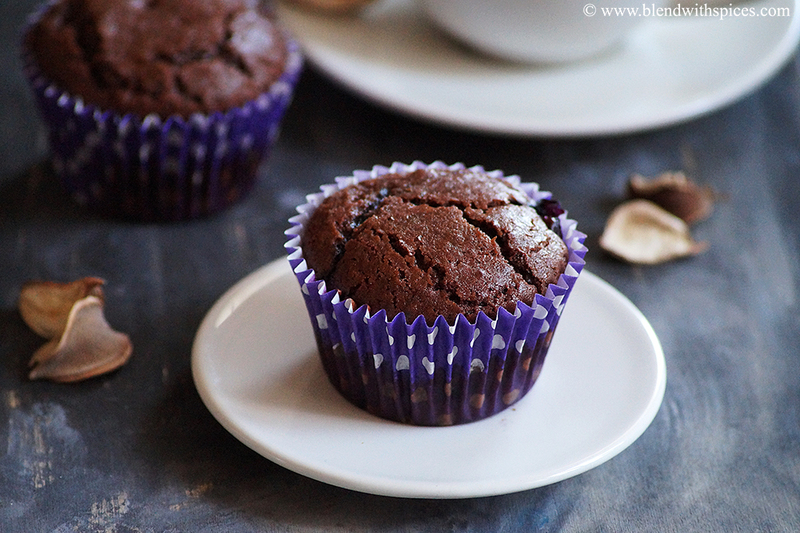 Eggless Chocolate Blueberry Muffins Recipe with step by step photos and video. 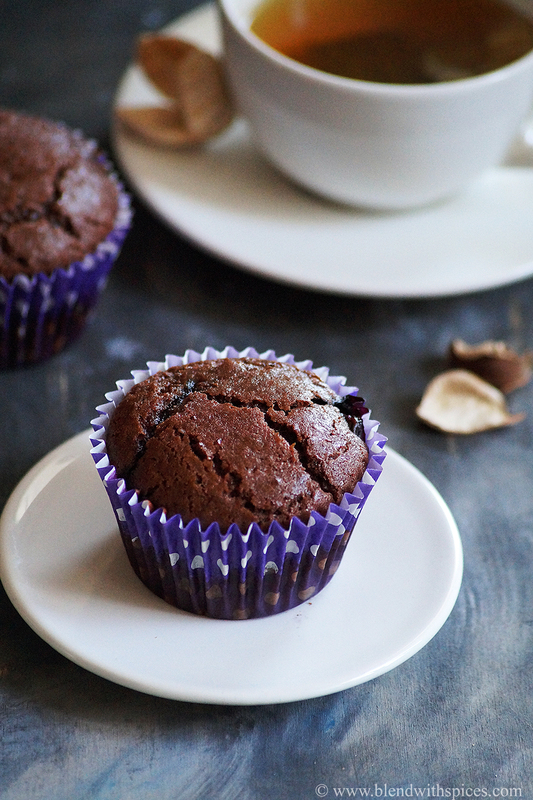 These muffins are soft, moist and delicious and made with whole wheat flour, cocoa powder and fresh blueberries. 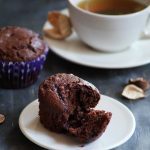 How to Make Eggless Whole Wheat Blueberry Chocolate Muffins Recipe with step by step photos and video. 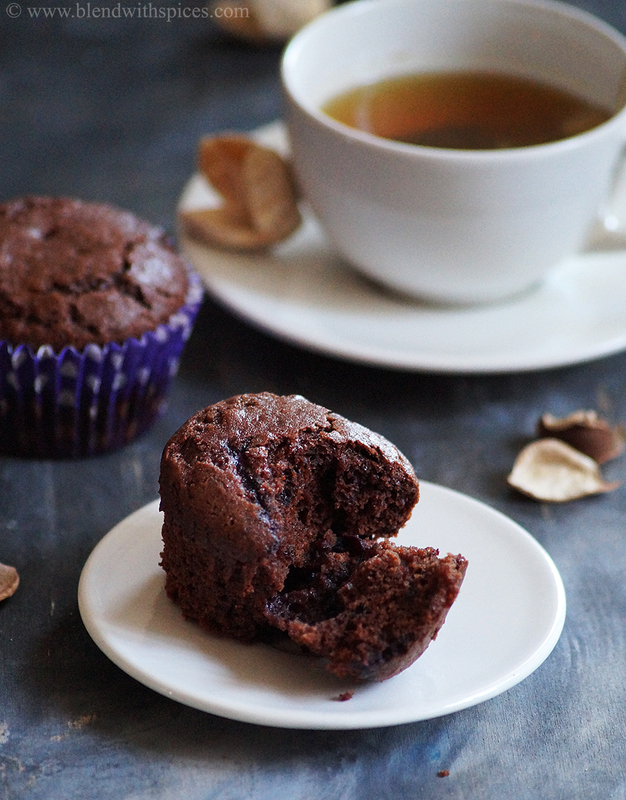 Soft, moist and delicious whole wheat muffins recipe. 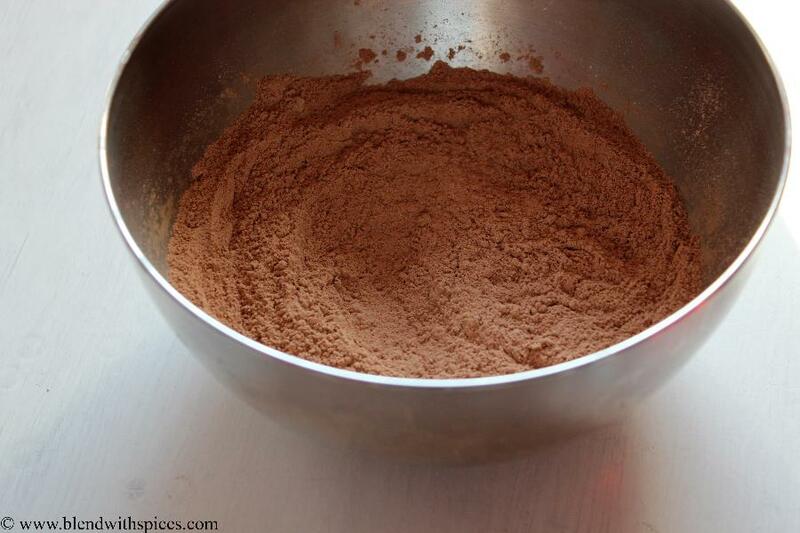 Combine the flour, cocoa powder, baking powder, baking soda and salt in a mixing bowl. Whisk well and keep it aside. Line a muffin pan with paper muffin cups and keep aside. 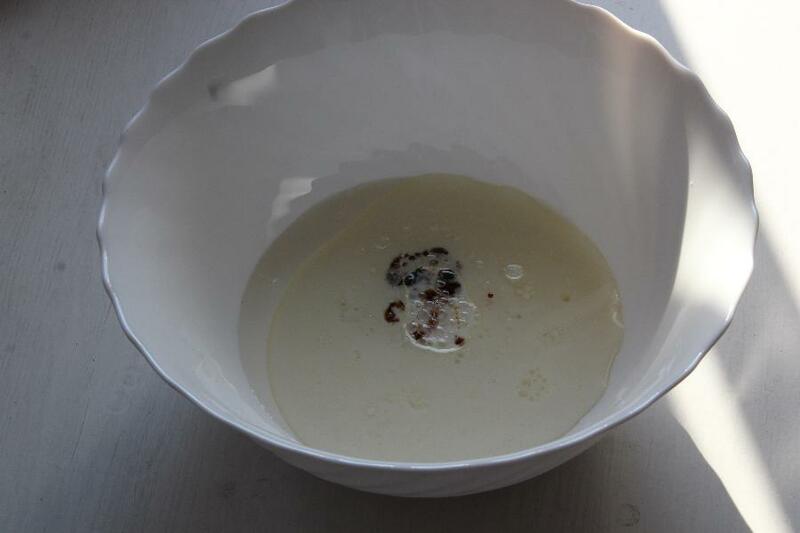 In a mixing bowl, add sugar, milk, oil, lemon juice and vanilla essence and whisk until well combined. 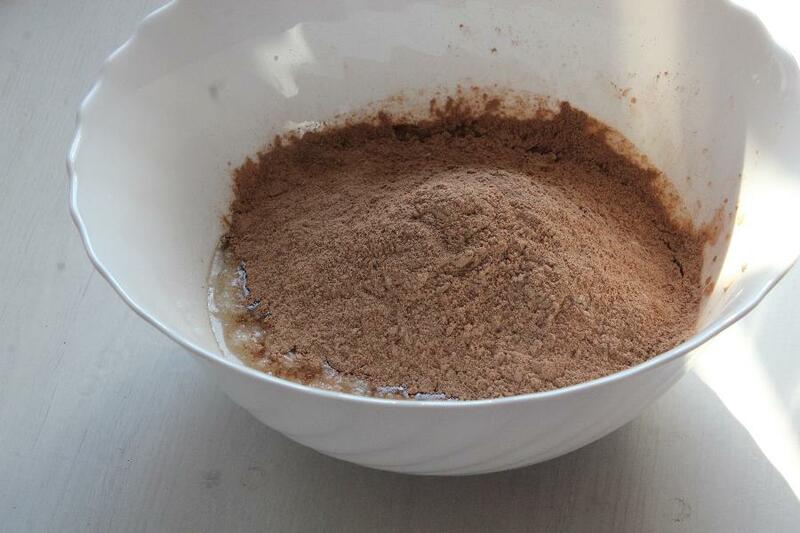 Add the prepared flour and cocoa powder mixture to the milk mixture and gently fold until just combined. Do not overmix the batter. Now add the washed blueberries to the batter and fold. Immediately place them in the preheated oven and bake for 25-30 minutes or a toothpick inserted into the center comes out clean. 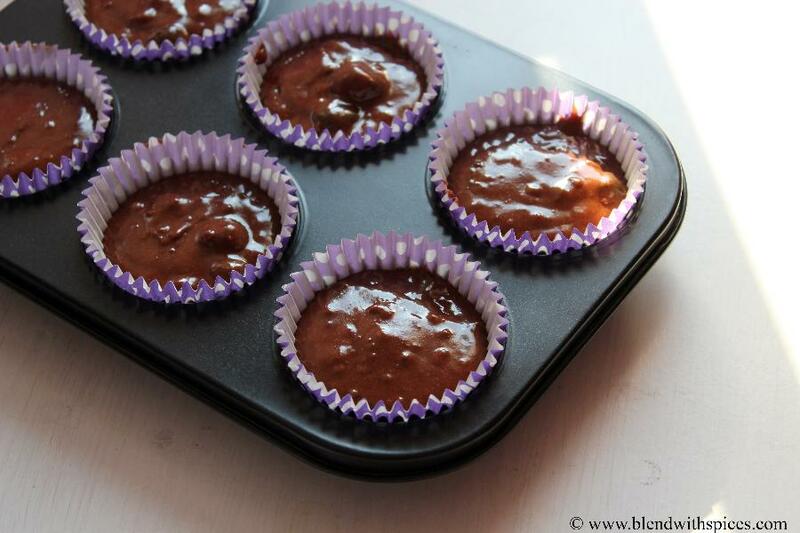 Line a muffin pan with paper muffin cups and keep it aside. 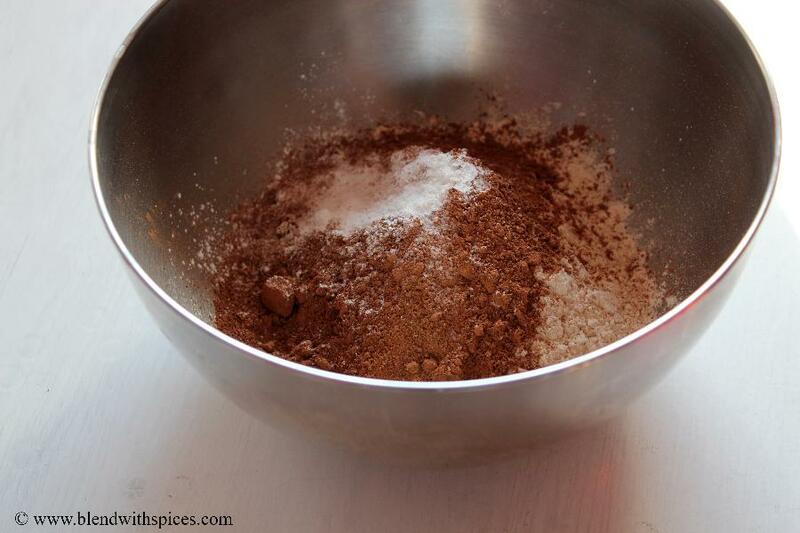 In a mixing bowl, add the whole wheat flour, unsweetened cocoa powder, salt, baking soda and baking powder. Whisk everything until well combined. You can also sift the flour to ensure even mixing. Keep it aside. 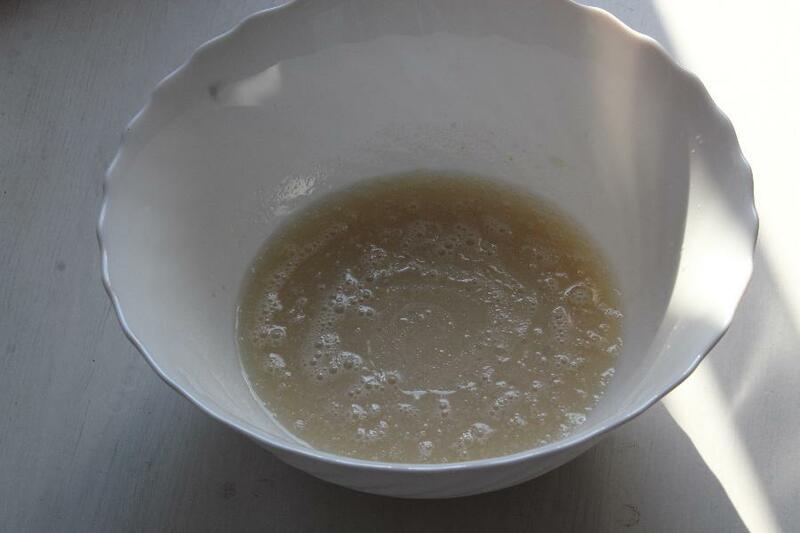 In a wide mixing bowl, add sugar, oil, milk, lemon juice and vanilla essence. If you want to prepare the vegan muffins, replace milk with water or any plant-based milk. Add the prepared flour and cocoa powder mixture to the wet ingredients and gently fold the batter. Do not overmix or overbeat the batter. 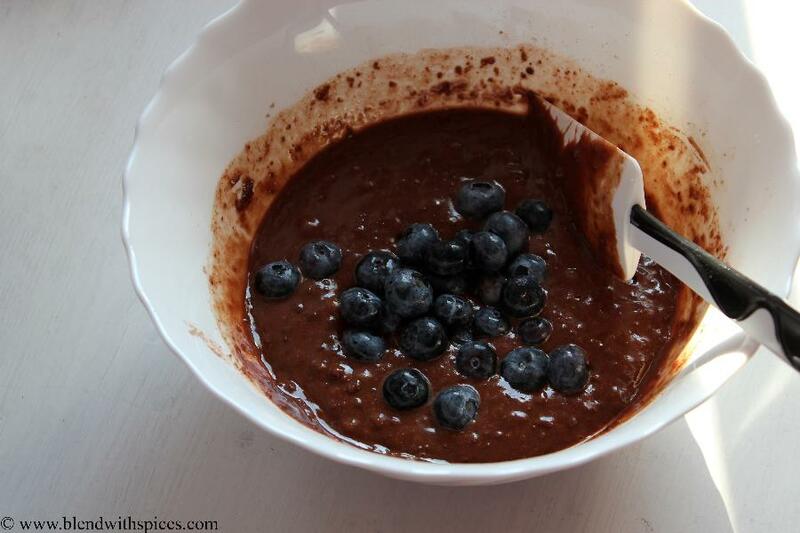 Now add the fresh or frozen blueberries and gently fold the batter. Immediately fill each lined muffin cup 3/4 full with muffin batter. Immediately place the muffin pan in the preheated oven and bake at 180 degrees C for about 25-30 minutes or a toothpick inserted into the center comes out clean. 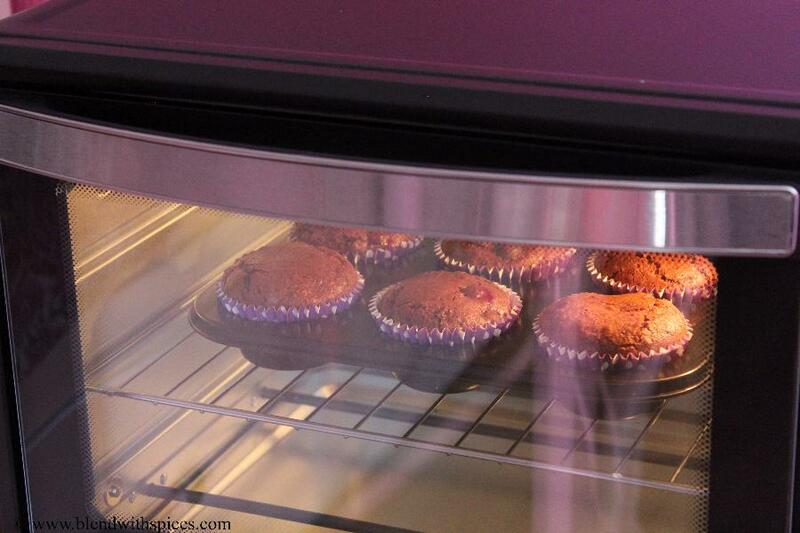 Place the muffins on a wire rack and let them cool completely.